It’s past time I write something about autism as it’s presented in This Plague of Days. I’ve heard from happy readers who are related to people with autism or who have developmental issues. They all love the protagonist, Jaimie Spencer, because he’s on the autism spectrum. Later on in the story, Jaimie makes some very normal and logical yet scary choices. I hope readers will still love him when they see some of the things he’ll ultimately be responsible for. Deep down, This Plague of Days is a little like all my books. Good versus evil doesn’t interest me. The choices are too stark. But Bad versus Evil? Complex motivations where the good isn’t all good and the bad isn’t all bad…or at least well-intentioned and understandable? Yes, that interests me very much. So far, readers agree and thank you very much if you’ve bought, dug and left a happy review for This Plague of Days. As I write and revise Season 3, the world is getting darker. Season 3 answers the questions posed all the way back from Season One. One of the mysteries of the series* is Jamie Spencer. He’s a selective mute on the autistic spectrum. That surely makes him an unlikely champion in the apocalypse and unique in the genre. However, he’d be unique if this were a simple family drama. When you’ve met one autistic person, you’ve met one autistic person. When asked, I tell readers that Jaimie has Aspergers with some interesting variations, like selective mutism and synaesthesia. He’s unique, as all people are. The term “Aspergers” has fallen out of favor in professional circles. That may be a great thing. I’m not sure. Mere labels can’t help the individual, but sometimes they help others understand people on the autistic spectrum. Generally, many people would recognize stereotypical Aspergers traits in someone like Dr. Sheldon Cooper of The Big Bang Theory. The show’s producers have stated on many occasions they are not holding the comical character up as the poster boy for autism and he doesn’t represent any group. I don’t want anyone to think Jaimie represents such a vast and varied community, either. He’s a fictional character who’s delving into deep matters of religion, mortality and immortality while dealing with people infected with three varieties of a deadly plague. His family unit and their problems relating to each other provides a realistic context and special challenges at the end of the world as we know it. He’s a wonderful character to write and he adds layers and depth to what otherwise be a pretty silly story. Jaimie’s point of view makes humans versus zombies versus vampires work. Why make the protagonist a person on the autistic spectrum? I could catalogue the artistic reasons to do so, but the short answer is, why the hell not? He’s a person first. The way his brain works is peculiar, but secondary. Despite how different he is, I (and many readers) connect with Jaimie Spencer emotionally, not as a mere intellectual curiosity. Jaimie’s a genius, but he’s no freak. How does autism play into This Plague of Days? However, on a couple of occasions, I admit that I do indeed tackle issues around autism. It would be weird if I didn’t address those natural consequences, wouldn’t it? It’s tricky, in that autism is another obstacle in the family’s struggles at the end of civilization, but the story is not all about autism. I came at the issue sideways, in character development. We learn about Jaimie through his actions and we see how he sees the world. Anna Spencer relates to Jaimie in a very natural way. She’s protective of him when outsiders are involved, but within the family, it’s all sibling rivalry and older sister irritation at a little brother. There’s friction there as there is in many families. I purposely avoided Anna being too precious with him. Of all the people in Jamie’s world, Anna is the one who most treats him as if he’s not unusual. Before the plague struck, Jaimie’s mother, Jacqueline (Jack) Spencer, struggled with the school and medical systems to get help for her son. She often wishes Jaimie was not on the spectrum. Meanwhile, Theo Spencer, Jaimie’s father, almost seems in denial. While Jack wishes her son were different, Theo accepts Jaimie as he is rather than fixating on changing him. The parents aren’t on the same page and one’s a complex atheist while the other’s faith is hard to hold on to in the face of so much horror. More fun family dynamics to mine there. As we progress through This Plague of Days, you’ll find that Jaimie is changing. He’s getting wiser and, to survive, he has to learn how to lie. He’s discovering the new world’s secrets. In Season 3, Jaimie is much different from when we first met him. Travelling the road in the apocalypse will do that to anyone, but I don’t find he’s any less likeable. He’s just more complex and less sure of himself. The challenges ahead are too difficult for him to resist transformation. In the final scene, readers will have a choice. 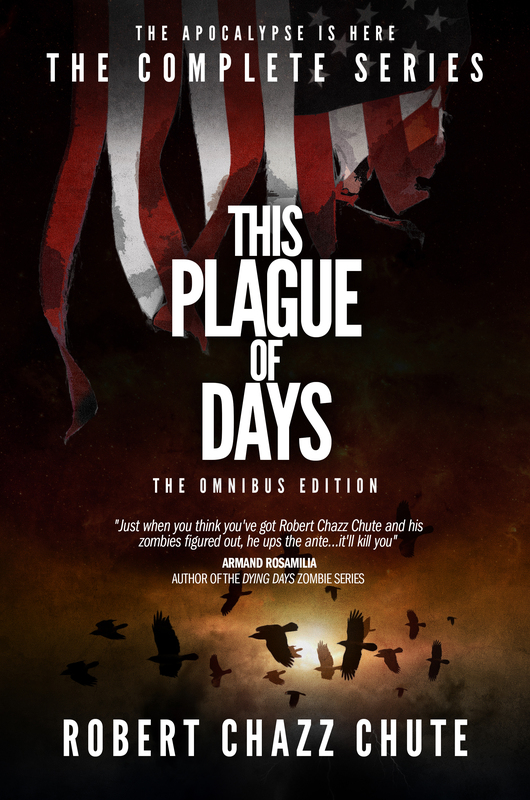 Some people reading This Plague of Days will also be transformed. In the third season, this officially becomes a series, not a serial. 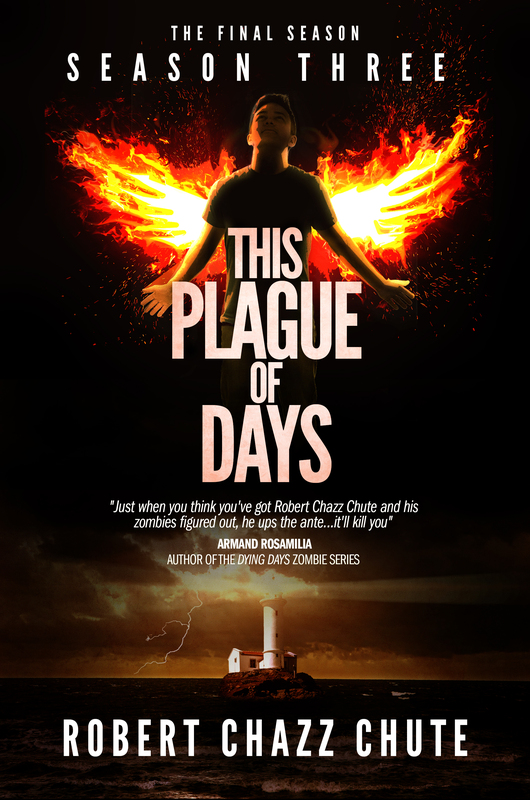 This Plague of Days will be sold as a trilogy in one complete book (This Plague of Days, The Complete Trilogy) assuming CreateSpace can handle printing a book that big. It will also be sold as Season 3 in paper so, if you got 1 and 2 in paperback, you’ll have a third to round out the collection on your shelf. Finally, of course, I’ll put it out as an ebook this spring. After that, I’ll be peddling it to Hollywood for a movie, I suppose. Or make it a graphic novel. Or get it on HBO with Alexander Skarsgard as Misericordia. Who knows? However, unlike Seasons 1 and 2, there won’t be any releases of weekly episodes for Season 3. Despite my best efforts, there are still some readers who get confused about serialization, so I’m letting that go. The Law of Diminishing Returns had kicked in, anyway, so onward to a very dramatic conclusion. A lot of people you love will die in unexpected ways. Some will live to receive surprising, wonderful rewards. I’m going to be a little sad to finish the journey with Jaimie, but it’s going to be a wild ride right to the end.